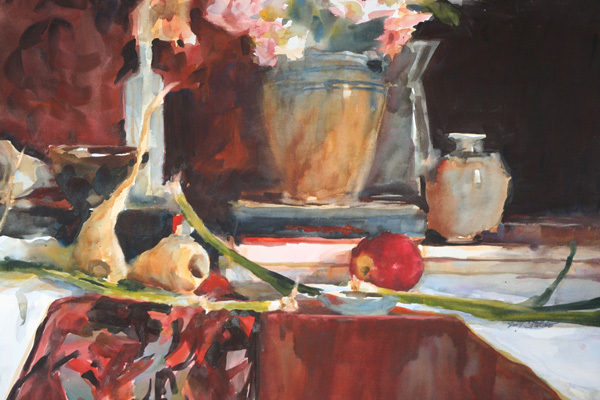 Sally is a signature member of the National Watercolor Society, American Watercolor Society, and the California Watercolor Association. 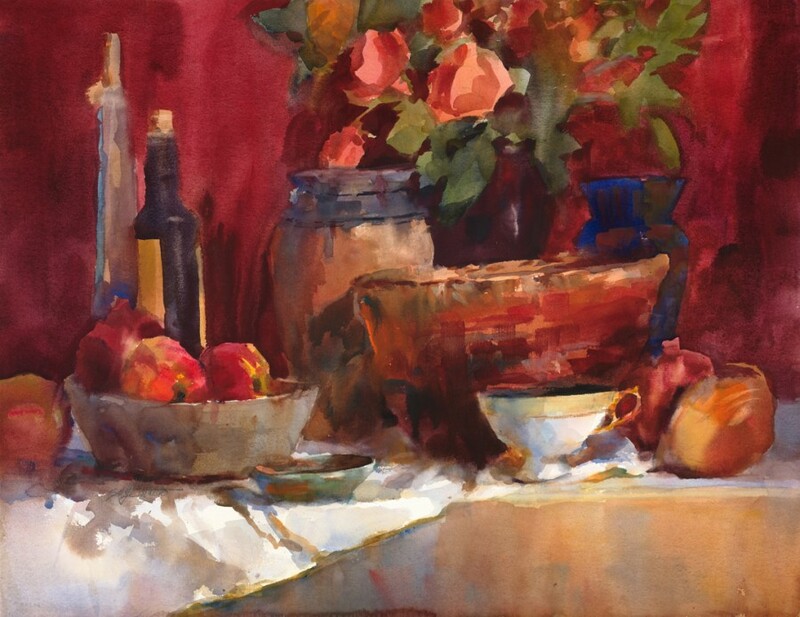 She has had her work published in a book called "Basic Watercolor Answer Book" and an article in the American Artist:Watercolor Magazine. 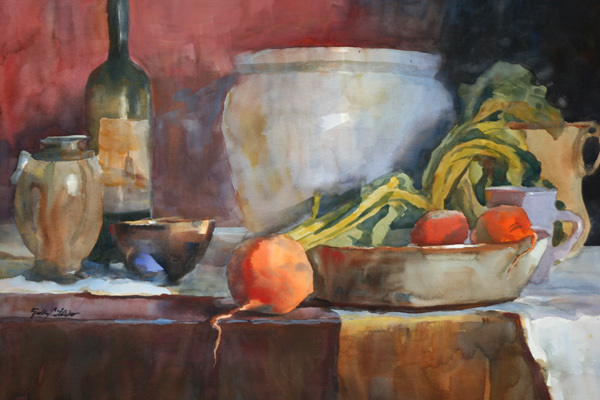 Her work has received numerous awards in various art exhibits. 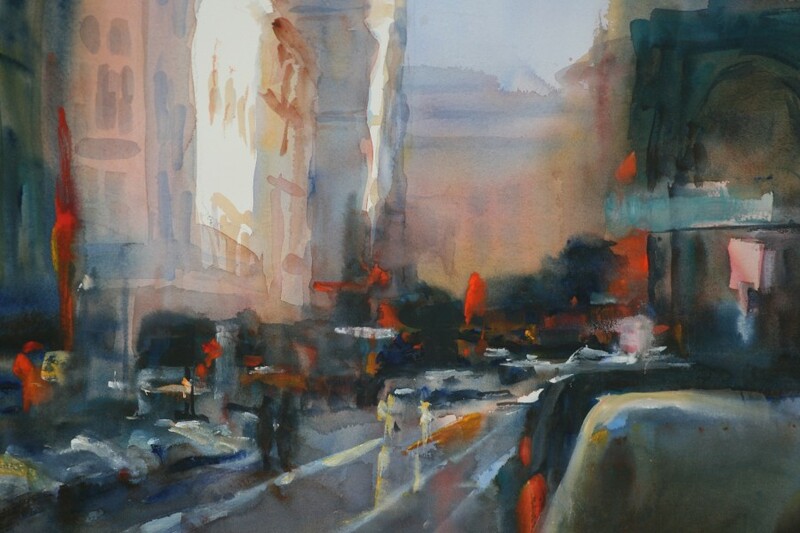 I love the loose and luminous expression the watercolor medium gives me. 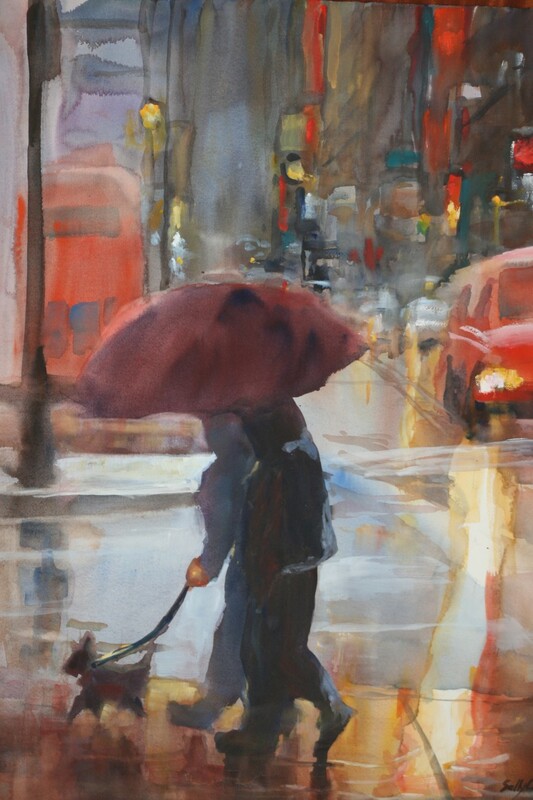 Watercolor can be a very challenging medium. For the artist to grow they must not be afraid to experiment. 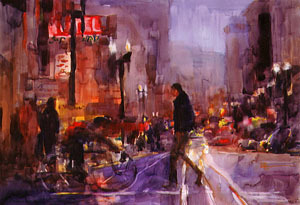 City Lights was one painting of many in a series of night street scenes of San Francisco. 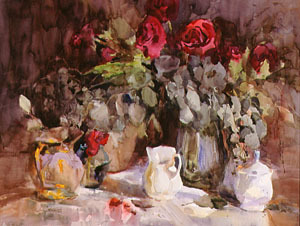 Each painting lead me to a new idea for the next piece. Thinking of an abstraction...first in lines, then values. 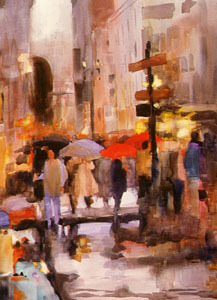 Movement is conveyed to capture the essence and excitement of the city's noise and action of a rainy night. 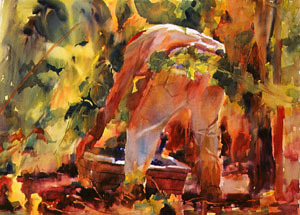 Art is my visual personal expression of my journey through life. My reflection of people. places and events. My art is, I hope, sincere in the feelings they express.